Make your next seminar a hit with this blue flyer. This flyer includes a picture of seminar attendees in the background, with your important information foregrounded. 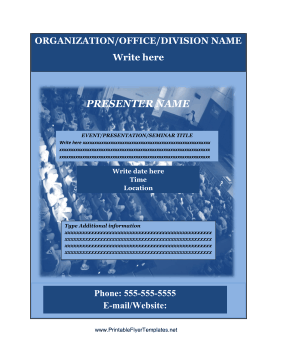 Be sure to include contact information and descriptions of any special presentations.